We have our winners! Congrats to Grace O. and Olayinka A.–both of Nigeria–our two $100 winners who submitted the most approved Localvantia pre-registrations in March! For each approved pre-registration an affiliate submitted in March, he or she got one entry in a special drawing for a total of $200 in cash. On April 10th we drew the following 10 names, each of whom will receive $20 cash! 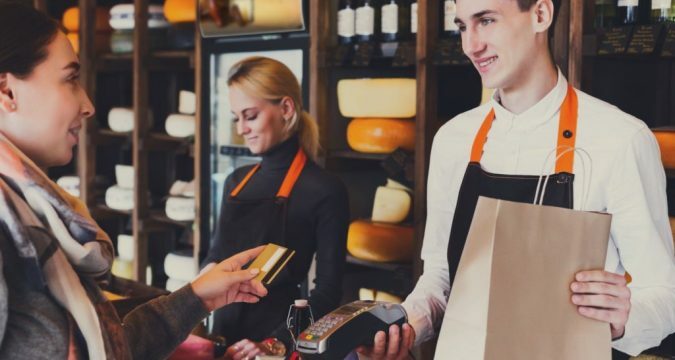 Finally, for every merchant pre-registered in March who then activated their merchant account by April 10th, the registering affiliates each received 250 cash-redeemable Rewardicals! Again, congratulations to all our March Localvantia Contest winners! Now, let’s keep the momentum going! Even if you didn’t receive any cash or cash-redeemable Rewardicals in the contest, you can STILL win big by registering Localvantia merchants! Not only can you earn multiple BADGES and up to 5300 Badge Quest points, you will also automatically earn 1 Rewardical for every 10 each of your registered merchants dish out each month! PLUS…you’ll earn an additional 1 Rewardical for every 10 your PRMs earn from shopping at ANY Localvantia merchant. And as the number of approved merchants grow, so will your opportunity to earn cash-redeemable Rewardicals on your purchases and your PRMs purchases at participating businesses! Learn more. Get started today! See these simple, easy instructions on pre-registering Localvantia merchants. View the original March Localvantia Contest announcement. Congrats, Gloria D…our Step-It-Up September Contest Grand Prize Winner! Step-It-Up September Contest! Win 13,000 CSAs! 5 new Astro Auction badges released! We recently completed our March 2019 Badge Quest drawing…and the following 40 SFI Affiliates will receive an equal share of the 100,000 Rewardical bounty pot. …And GOOD LUCK to April’s SFI Badge Quest participants! Remember: Each month, for every* new badge earned by all SFI affiliates–companywide–SFI will put two Rewardicals** into the Bounty pot (the current pot amount will be displayed on your WIN IT tab), with a guaranteed minimum of 100,000 Rewardicals. At the end of the month, we draw 40 winners, who each receive an equal share of the bounty pot. NOTE: Rewardicals can be redeemed for a variety of cool products and other irresistible goodies HERE. *Excludes SFI rank badge and Member badge–which are awarded automatically to all affiliates. 100,000 Rewardicals awarded in January SFI Badge Quest drawing! 100,000 Rewardicals awarded in January TripleClicks Badge Quest drawing! We recently completed our March 2019 TripleClicks Badge Quest drawing…and the following 40 members will receive an equal share of the 100,000 Rewardical bounty pot. …And GOOD LUCK to April’s TripleClicks Badge Quest participants! 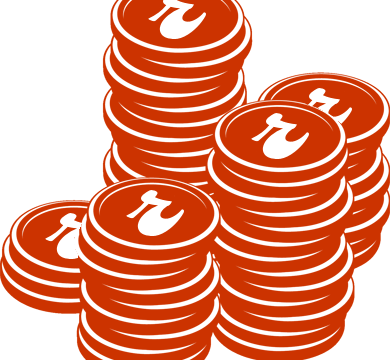 Remember: Each month, for every* new TripleClicks badge earned by all Zing members–companywide–we will put two Rewardicals** into the Bounty pot (the current pot amount will be displayed on the TripleClicks Badge Quest page), with a guaranteed minimum of 100,000 Rewardicals. At the end of the month, we draw 40 winners, who each receive an equal share of the bounty pot. *Excludes Member badge–which is awarded automatically to all members. 100,000 Rewardicals awarded in December TripleClicks Badge Quest drawing! WOW! In March, SFI Affiliates and Members received 23,024,655 Rewardicals from our Astro Auctions, Eager Zebra games, and the Biz Quiz, Daily Grand, Daily Crown, and Badge Quest contests! Congrats to all our auction, game, and contest winners, and good luck to all our April participants! Remember: In addition to winning Rewardical Tokens (RTs) in auctions, games, and contests, you can earn RTs when shopping at local and online stores via the Rewardical loyalty program. You can then exchange Rewardical tokens HERE for a variety of great goodies, including cash, PSAs, CSAS, gift cards, Bitcoin, silver bullion, and more. By the way, you can now earn Rewardicals at 360 locations on 80,066 products and services! See ALL the ways you can earn Rewardicals HERE. Boost your business! A great way to attract new Rewardical members is to pass out Rewardical X-Cards, designed to promote Rewardical and digital Rewardical Reward Tokens, to anyone and everyone you like. As their referrer, you’ll now be set to earn unlimited 10-1 Rewardicals on every Rewardical they earn…for life! 21 million Rewardicals awarded in February! 22 million Rewardicals awarded in January! 20.8 million Rewardicals awarded in December! CONGRATULATIONS to Brain Sprint top 10 scorers for March 2019! 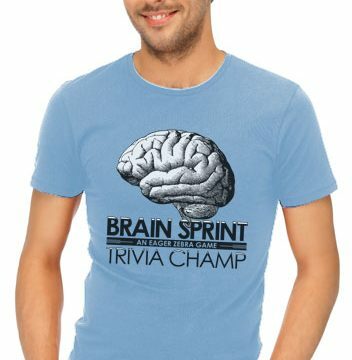 Each of the above 10 winners will be receiving our exclusive Eager Zebra Brain Sprint CHAMPION t-shirt (shown at right)! Note: The winning scores shown (in parenthesis) above are equal to the sum of the prize points earned in prime games. Haven’t played Brain Sprint yet? Play for FREE 10 times daily to win this exclusive t-shirt, unlimited Rewardicals, and other great prizes. February’s Brain Sprint Top 10! January’s Brain Sprint Top 10! December’s Brain Sprint Top 10! CONGRATULATIONS to HIDDEN top 10 scorers for March 2019! 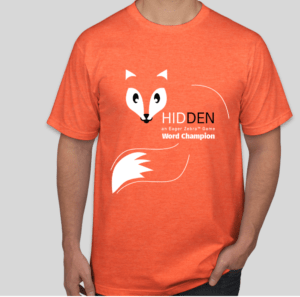 Each of the above 10 winners will be receiving our exclusive HIDDEN “Word Champion” t-shirt (shown at right)!